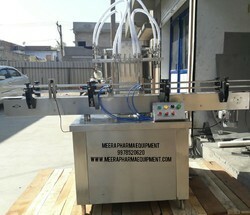 We are a leading Manufacturer of automatic liquid filling machine and eye drops filling machine from Ahmedabad, India. Speed :- 40 to 90 Bottle/Min. 10ml to 1 litter capacity. Looking for Liquid Filling Machine ?